For many Americans, procrastinating on taxes is practically a tradition. And though the millions who filed extensions back in April still haven't finished their 2011 income taxes, I'm here to tell you that it's time to start thinking about your 2012 income tax return. The halfway point of the year is a good time to look at where you stand with your taxes. More importantly, if you discover that you need to make some changes, it's still early enough for the steps you take to make an actual difference for your return. Let's take a look at some of the things to be sure to look at. 1. 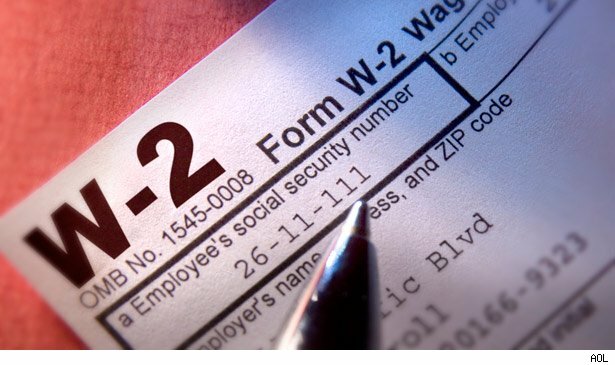 Is Your Paycheck's Withholding Right? The biggest driver of whether you'll get a refund or owe tax come next year is how much tax you have withheld from your paycheck. After they fill out the appropriate form with their HR department when they start work, many people never bother to change their withholding ever again. But often, changing circumstances in your life lead to big withholding errors that can cost you in interest and penalties. The simple way to check your withholding is to look at your June 30 paycheck and multiply everything by two. Then, compare your salary and tax withheld with your tax return from last year to see if the numbers are roughly the same. If they are, and you were happy with the refund you got or the tax you owed, then you're probably in good shape. If you want to be more precise, you can fill out IRS Form 1040-ES. It's more complicated, but it gives you more detailed information about how to set your withholding properly. 2. Do You Have Other Income or Deductions? If you've been fortunate enough to have substantial dividend income or gains from selling investments, congratulations! But that success may bring you a higher tax bill. Withholding tax from paychecks is convenient, but it doesn't take into account your other income. To make sure you won't get into trouble, take a look at your second-quarter bank and brokerage statements to see how much income you've earned. Because some investments, such as mutual funds, pay a disproportionate amount of their income at year-end, you can't just multiply that midpoint number by two. But if you have big gains, looking for ways to offset them with losses or other offsets now will give you plenty of time to try to cut your tax bill. Similarly, just as extra income can cost you at tax time, deductions can help lower your IRS bill. If you have new deductions this year, they can offset any extra income you may have. On the other hand, if you had a lot of deductions last year that won't repeat this time around, you need to prepare for greater tax liability. 3. Do You Really Want a Refund? Obviously, everyone wants to get free money. But as much as your tax refund may seem like a windfall, it's actually money that you already paid to the IRS, and they've gotten the use of it for as much as a year or more. Many celebrities have gotten smacked down for failing to paying taxes. Wesley Snipes actually landed in prison for his $17 million unpaid tax bill, while Nicolas Cage owed a seven-figure amount to the IRS. A host of others, including Lindsay Lohan, Pamela Anderson, and Christina Ricci, have faced liens or tax bills for more modest -- yet still sizable -- sums. The two main reasons for us ordinary folks getting stuck with a big tax bill are that your paycheck withholding needs changing or that you have outside income that comes without having taxes withheld. In either case, even if you can't afford to pay when the bill comes due, ignoring the problem will eventually land you in an even bigger heap of trouble. Instead, take advantage of IRS programs that let you make affordable installment payments over time. Part of what put Wesley Snipes behind bars was his conviction on three counts of failing to file tax returns by their filing date. In part, he relied on a bogus theory that all income taxes are unconstitutional as justification for his actions. But a much more common problem many people run into is that they can't afford to pay their tax bill right away. The mistake they often make is to assume that they shouldn't file a return at all if they can't pay. In reality, the penalties for not filing your taxes are much more severe than if you file but can't pay your taxes all at once. So even if you don't have the money to send with your return, go ahead and file. It'll save you a ton of money -- and possibly jail time -- in the long run. AccountingWEB recently took a look at some of the great swag that celebrities received at the Academy Awards. With sponsors handing out goodies including everything from jewelry to exotic safaris, the gift packages added up to as much as $75,000 in value. But the recipients have to report it all as taxable income. You may never be so lucky, but even more modest prizes often get reported to the IRS. If you get a Form 1099 reporting the value of something you received as a prize or award, not including it on your tax form could trigger a red flag at the IRS. One allegation that Nicolas Cage raised regarding his tax problems was that his business manager mishandled his funds and caused big losses that destroyed his finances. Similarly, Martin Scorsese and Al Pacino both blamed convicted adviser Kenneth Starr for their tax woes. Starr went to prison for fraud and theft from clients. Still, no matter where you go or how much you spend for tax preparation, you bear final responsibility for making sure your tax returns are accurate. Reputable accountants will reimburse you for any penalties and interest that result from mistakes they make, but don't count on them. Instead, make sure you understand the positions your tax pro takes so that you can defend them if a question arises. As you look at the hijinks of your favorite celebrities, be sure not to make the same tax mistakes they made. With a little common sense and some planning, you can learn from celebrity mishaps the easy way. Some people like the enforced savings that unnecessarily high tax withholding provides. With current interest rates on bank accounts at historically low levels, it doesn't cost you that much in lost interest to let the IRS hang onto your money until you get your refund. But if you carry balances on credit cards or have other high-interest rate debt, then you'll do better reducing your withholding and getting bigger paychecks along the way rather than waiting for a refund. Procrastination is easy, but it can be costly. Take a look at your taxes today, and you'll be able to breathe a lot easier in the months to come. Motley Fool contributor Dan Caplinger updates his taxes obsessively. You can follow him on Twitter @DanCaplinger.